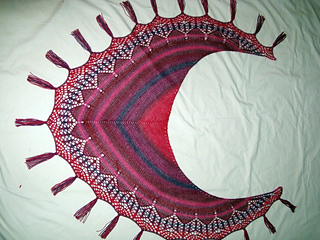 The pattern is charted and with written line-by-line instructions. 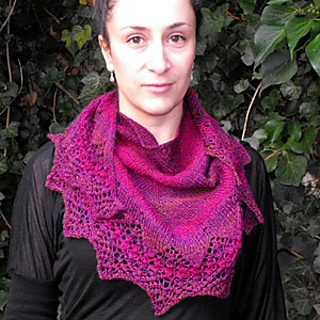 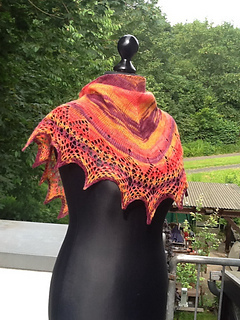 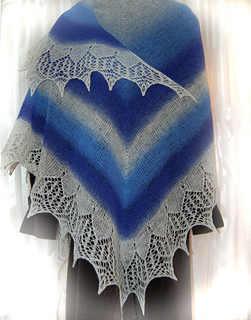 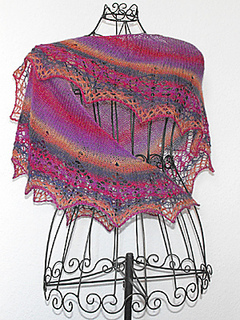 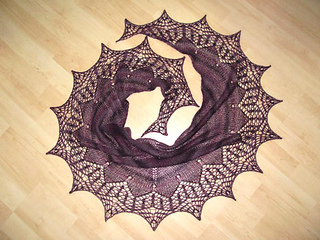 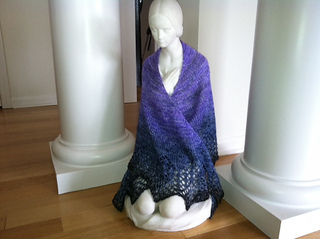 Marella is a small shawl with a curved neckline. 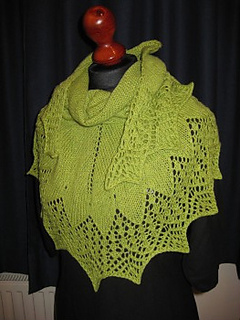 It is knitted from the middle of the neckline downward in stockinette stitch and ends with a geometrical edging. 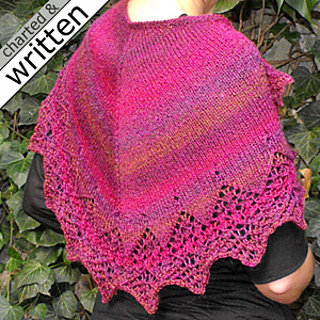 The size is variable – detailed instructions are included in the pattern. 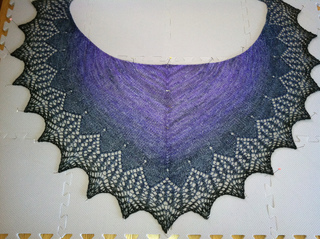 Marella is suitable for beginners in lace knitting.